Record annual earnings of more than $2 billion released today by key global copper producer Southern Copper Corp (NYSE:SCCO), were overshadowed by the company’s decision of pushing back the beginning of its operation at the $1 billion Tia Maria project until 2015. Higher prices for copper, silver and zinc alongside rising production at its Buenaventura mine drove Southern Copper last year’s sales to a record high $6.82 billion, 32% higher than the $5.15 billion unveiled in 2010. The base metals miner, a unit of Grupo Mexico (PINK:GMBXF), said that copper mined production in 2011 increased by 23% to 587,491 tons compared with 478,527 tons in 2010. However, Peru largest copper producer registered a fourth-quarter net income of $537 million, up from $492.2 million in the same quarter a year earlier. Net income for 2011 was an all-time high of $2.34 billion, 50.3% higher than the $1.55 billion posted in 2010. Southern Copper operates in Mexico and Peru and has field explorations in Chile. In 2009, the miner contributed 77% to the sales of Grupo Mexico, which controls 80% of it through its subsidiary Americas Mining Corporation (AMC). Grupo Mexico’s mining operations in Peru include two open pit mines (Toquepala and Cuajone) and one metallurgical complex (Ilo). 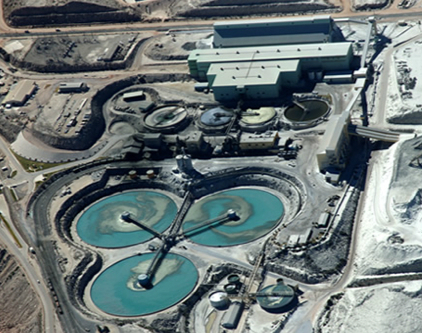 The mining operations in Mexico consist of two open pit copper mines (La Caridad and Cananea), several underground silver and zinc mines, and a large metallurgical complex.